4661139 Features: -Simple and elegant design. -Slender shape. -Lid automatically opens when pouring. -Capacity: 43 oz.. -Material: Glass, Plastic and Silicone. -Hand wash recommended. 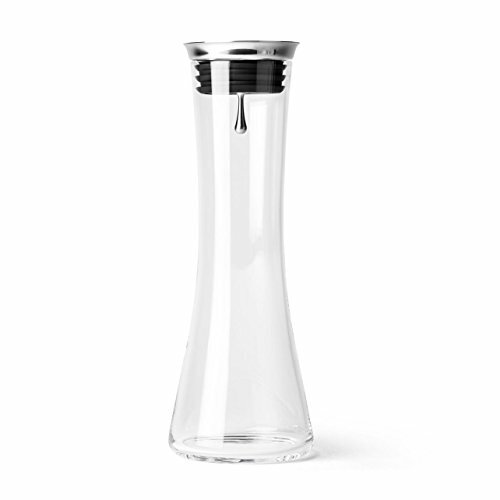 Product Type: -Carafe. Material: -Glass/Plastic / Acrylic. Color: -Clear. Capacity: -43 Ounces. Style: -Modern. Dimensions: Overall Height - Top to Bottom: -13.4". Overall Width - Side to Side: -4.7". Overall Depth - Front to Back: -4.7". Overall Product Weight: -1.92 lbs.